The Pyramid Society The United States parent organization dedicated to preserving and perpetuating the vanishing bloodlines of the Straight Egyptian Arabian Horse. ALL straight Egyptian Arabian horse owners SHOULD belong. Arabian Horse Association the United States National registry of the Arabian horse. Owners are members, horses are registered, TONS of information and links. Unequaled database! Wonderful VIDEO made to market the amazing Arabian horse to the American general public. Al Khamsa, Inc. not-for-profit, devoted to the preservation of the horse of Bedouins of Arabia. 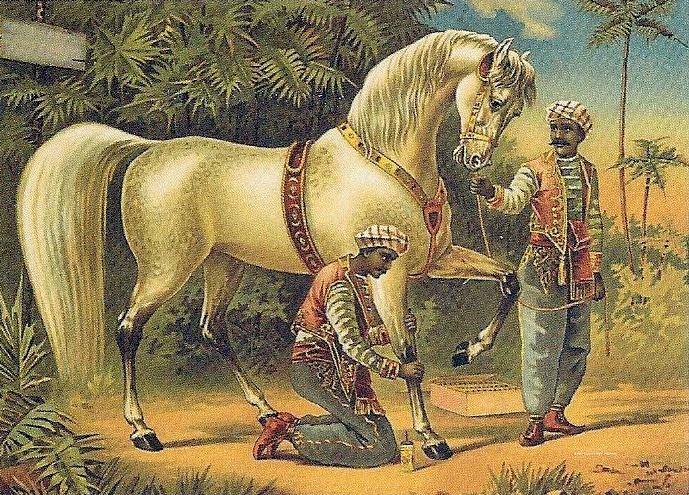 History, photos and Roster of Al Khamsa Arabians. Desert Heritage stunning magazine for Straight Egyptian Arabian horses from around the world. Published in Italy, also printed in English ! 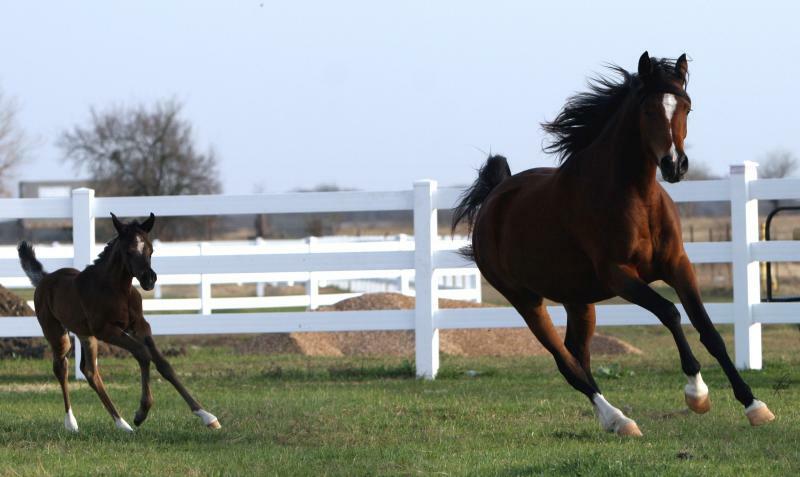 Cerebellar Abiotrophy is a neurological condition in all bloodlines of the Arabian Horse. Extensive research to identify the defective gene and create a DNA based test was completed at UC Davis Veterinary Genetics Laboratory. This web site has a list of tested Arabians CA results & other current info. Daughter of the Wind a site with a tremendous wealth of information & pictures on desert Arabian horses, their homeland and heritage. Every year, for one week, people gather from countries around the world at the Kentucky Horse Park in Lexington to celebrate the EGYPTIAN ARABIAN HORSE. This annual time honored tradition and celebration is organized by the Pyramid Society and is simply called: THE EVENT. The Event is much more than a horse show. Egyptian Arabian stallions are presented, where many consider prospects for future breedings and evaluate bloodlines. Throughout the week educational seminars offered on a variety of equine and Arabian subjects. Visitor can watch riders complete their patterns and halter horses stand to show off. They mingle, look and talk! Some attend the Gala, some don't. But none miss attending the numerous barn parties held on the show grounds, where various farms host visitors, sharing food and drinks while enjoying the presence of these exquisite Egyptian Arabian horses. The Egyptian Event also offers many the opportunity to showcase their horses. We have won numerous Top Five and Top Ten halter awards in World Class, Futurity and EBC classes. Everyone looks forward to bringing their Egyptian Arabians to Kentucky to proudly show them off. But most of all the Event is a special time to meet new friends, to reconnect established friendships, create new memories, and to share passion for the Egyptian Arabian horse.